Join 1000 Maine students, 250 Maine educators, and numerous staff and volunteers for a day of learning and creating with technology! This year’s theme will be #Create4ME. We are celebrating the power of students to create innovative solutions to challenges in Maine and the spirit of entrepreneurism that is found in some many Maine communities. Session descriptions and locations will be included in the registration form so that students can pick their ses-sions ahead of time. Even students in non-MLTI grades can attend (though chaperones should check the de-vice requirements for each session to make sure students will be able to participate). MORE INFORMATION For answers to questions, please contact Amanda Nguyen at Amanda.Nguyen@maine.gov. Submit Proposals by 5 pm, Friday, February 22nd, 2019 to this online form or copy and paste this URL into your browser: http://bit.ly/MLTI-student-conference-proposals-2019. It is recommended that you type your answers in a separate document and then copy them into the form, so you can be sure to save your work. 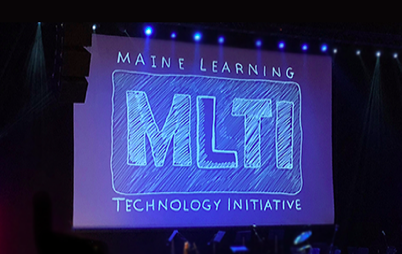 For more information or answers to questions, please visit the MLTI Student Conferencepage or contact Amanda Nguyen, Digital Learning Specialist at Amanda.Nguyen@maine.gov. You will find a form to register online by CLICKING HERE. Session information for Blocks 1 & 2 will be posted starting later today! And as always, we have a few surprises to share! Keep an eye and ear open!! We’ll be sharing updates as we approach the big day!!!! Schools may register up to 40 Students and 8 adults in a 5:1 ratio. For groups of students that don’t divide evenly by five, please round up in your adult count. For example, if you are bringing 6 students, you must have 2 adults. If you are bringing 36 students, you must have 7 adults. Remember, chaperones do not have to be school staff – we often have parents volunteer to chaperone! There are 1000 student registration spots available so don’t delay! If space remains after May 5, 2017, schools may register an additional 10 students and 2 adults if they wish (beyond the original 40 Students and 8 adults in a 5:1 ratio). Registration will close when 1000 registrations are received or by May 12, 2017. Presenting teams are provided three complimentary registrations per presenting team – up to one adult and two students. Students with artwork selected for the 2107-2018 screensaver will have registration costs waived. The Department asks that attending students have a signed media release form. There are many photographs and videos being taken during the event and often media is present and on occasion may want to interview students. Student may still attend without a signed form!! We ensure that all name tags are coded so at a glance it can be known if the student is okay to photograph/interview or not. A media release form is available on our website. If your school has media release forms on file, there is no need to have a second one signed. Please indicate on your registration form that forms are on file at the school. The MLTI Student Conference Committee is still in need of a few more proposals for the 14th Annual MLTI Student Conference, to be held on Thursday May 25, 2017 at UMaine. Attending participants will learn how they can use their MLTI devices to create in ways that make learning happen — and tell the stories of their accomplishments. With music and sound as a focus (focus, not a limit! ), the MLTI Student Conference planning team would like to consider workshops around music, spoken word recording, coding, video production, art, writing and publishing your collection of short stories, or one of any other endless possibilities! The MLTI Student Conference supports all MLTI Devices regardless of platform (HP or Apple). Each platform provides for a variety of environments that can be used for making and doing. For simplicity and management, sessions may be designed for just one or two of the MLTI platforms, but “platform agnostic” sessions are encouraged. We are looking for both adult presenters as well as student/teacher team presentations! Spread the word – if you know of someone doing fantastic work involving technology with making, doing, or storytelling please encourage them to submit a proposal! If you have any questions please contact Juanita at juanita.dickson@maine.gov. Registration for the 2013 MLTI Student Conference is open! This year’s conference will be held on Thursday May 16, 2013 at the University of Maine at Orono. We’ve made a few changes, including an increase in the number of students you can bring, and a reduction in participant cost!! Schools may register 40 Students and 8 adults in a 5:1 ratio. With 4 students you may bring 1 adult, with 12 students, you may bring 3 adults, with 37 students, 8 adults, etc. Conference Cost: Thanks to a contribution from ACTEM dedicated to reducing participant costs, the registration fee has been reduced to $15 per adult or student participant. If, on April 26, 2013 at 12 Noon any places still remain unfilled, schools may register an additional 10 students and 2 adults. This will continue until 1,140 registrations are received. Registration will close when 1,140 registrations are received or on May 6, 2013 @ 4 PM, whichever comes sooner. 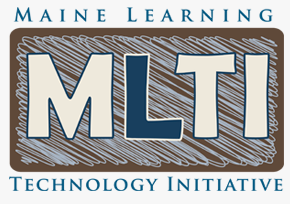 Please visit http://www.maine.gov/mlti/studentconference/signup.shtml to register!